On May 27, 1907 the 84-year old Louisa Elizabeth Kemp died in the family home at No. 32 East 70th Street. 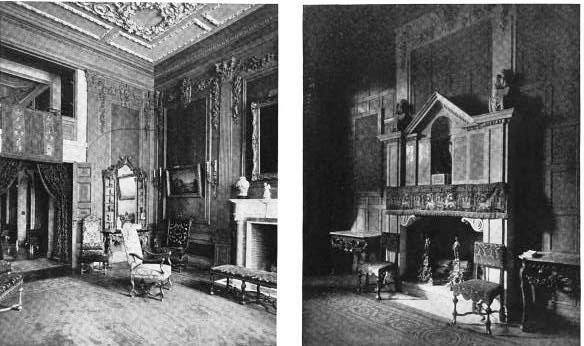 The Kemp family had owned the brownstone house for decades; but Louisa would be the last Kemp to live here. The Harvard-educated lawyer had married Laura K. Kayser in 1895. The bride was the daughter of immensely wealthy Julius Kayser, founder of the Julius Kayser & Co., manufacturers of gloves. Bayer resigned from the law office of Frederick DeP. Foster and joined his father-in-law’s firm as Treasurer. Nearly eight months after purchasing the old brownstone, the Kemps’ architects, Taylor & Levi, completed plans for their new home. Rather than “an American basement alteration” the new owners had opted for an entirely new building. The Real Estate Record & Builders’ Guide reported on October 29, 1910 that it would be a six story residence costing about $50,000—in the neighborhood of $1.3 million today. Construction took two years, resulting in a limestone-faced neo-French classic mansion worthy of nobility. Visitors passed through tall stone fence posts topped with massive huge stylized pinecones. Above the arched openings of the first floor, two floor-to-ceiling windows behind stone pseudo-balconies mimicked French doors. 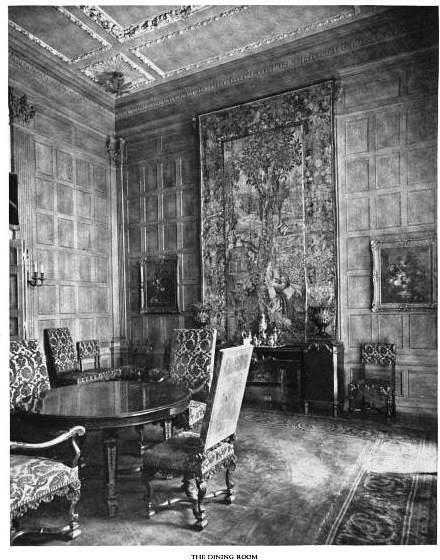 At the fifth floor a full balcony stretched the width of the home, flanked by elaborate carved urns on paneled pedestals. But the architects reserved perhaps the most imposing elements for the steep slate-tiled mansard dominated by a massive dormer and flanked by hefty chimney breasts. The Bayer family maintained a sprawling country estate in Mt. Kisco, New York; but occasionally would join other millionaires in fashionable resorts. Such was the case in the spring of 1918 when The Sun reported that they had “taken a cottage in Florida row” in White Sulphur Springs, Virginia. A few days later, on April 9, the newspaper updated its readers on the activities of out-of-town socialites. “Water sports in the swimming pool attracted sojourners during the afternoon. Diving for tin pie plates was great sport among the swimmers.” The Sun listed Laura Bayer among those frolicking in the pool. Julius Kayser died in his mansion just a block away at No. 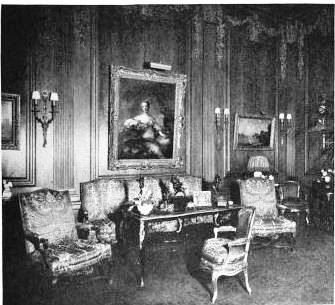 18 East 71st Street on March 9, 1920. His will gave Laura $100,000 outright; and left a staggering $5 million each to the Bayer children upon their 24th birthdays. Edwin S. Bayer now rose to President of Julius Kayser & Co.
Sybil was 21 years old in 1926 when she visited relatives in Paris. While there she met 24-year old American Vincent Edward Brown, who was on business with an automobile company. High school educated, Brown had held a series of unimpressive jobs, including a position as a clerk with the Standard Oil Company. Unknown to the Bayer family, a romance blossomed between Sybil and Vincent (who lived in New Jersey). Two years later, on the evening of Wednesday, January 25, 1928, and just months before she would inherit her massive fortune from her grandfather, Sybil left the East 70th Street mansion. She jumped into Vincent Brown’s automobile and the couple sped off to Rye, New York. Around 10:30 they obtained a marriage license from the town clerk. Then they were married “with the utmost secrecy” in the home of Justice of the Peace Edwin C. Thomas early the next morning. On Friday they returned to the city and moved into a furnished room on East 53rd Street, “the rent for which is $17 a week,” according to The New York Times. “Mr. 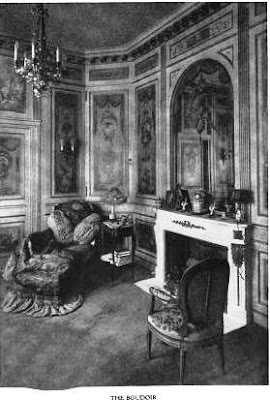 Brown had formerly occupied a room at the address, and on Thursday he arrived with his bride to inspect a large room on the second floor of the four-story building, the ground floor of which is used for shops.” The cheap accommodations were in stark contrast to the French-style mansion in which Sybil grew up. Reporters flocked to the 53rd Street building and loitered outside waiting for the heiress and the clerk to emerge. They went to great lengths to avoid publicity. “Mr. Brown would see no one yesterday, and to avoid being interviewed, the young couple went out through a trap door in the roof and reached the street by way of another house,” reported The Times on January 29. Later that year, on December 15, Edwin Bayer underwent an operation in the Leroy Sanitarium at No. 40 East 61st Street. His condition did not improve and Sybil came to his hospital room. The father and daughter were finally reconciled. On New Year’s Eve the 59-year old millionaire died with his family, including Sybil, at his bedside. Shortly after Laura’s mourning period ended she married Count Antoine Sala of Paris and Antibes, France in 1931. The art expert had been a member of the French Embassy in Washington. 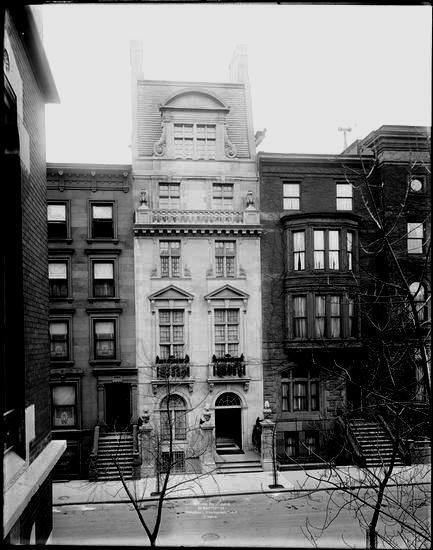 On March 4, 1931 The Times reported that Countess Antoine Sala had sold the 70th Street house to Clendenin Ryan. The “favorite” son of multi-millionaire Thomas Fortune Ryan, Clendenin was named after a town in West Virginia. He had been involved in his father’s business and was treasurer of the Royal Typewriter Company; but following Thomas F. Ryan’s death in 1928, he “held himself aloof from directorates and corporate offices,” according to The Times, to manage his father’s $135 million estate. Clendenin Ryan almost immediately liquidated the estate’s stock holdings; resulting in the massive fortune being preserved when the stock market crashed the following year. He moved into the 70th Street mansion alone, surrounded with a staff of eight. His estranged wife, the former Caroline O’Neil, lived at No, 834 Fifth Avenue and their three children were grown. But Clendenin Ryan was not well. He suffered from diabetes and had sought help in sanitariums and hospitals for years, to no avail. Shortly after buying the mansion, he began losing weight and he suffered long periods of depression. As the 1930s drew to a close, he had gone from about 240 pounds to 150. 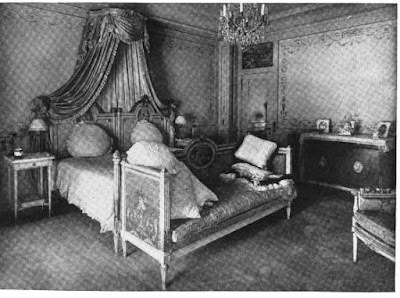 Early on the morning of August 21, 1939 the servants noticed the distinct odor of gas in the house “but they dared not disturb Mr. Ryan, who ordinarily breakfasted in bed,” reported The New York Times the following day. The fumes were so thick that neighbors smelled them and notified police. Officers scoured the neighborhood looking for the leak as Ryan’s business agent Frank Merklin arrived at the mansion. Merklin had an office in an upper floor and carried his own key. As soon as he entered the entry hall he noticed the overpowering smell of gas. Rushing to the third-floor library he found the nearly 3-inch thick wooden door locked. He ordered servants to break the door down with an axe. “Inside they found Mr. Ryan, clad in pajamas, lying dead with his head resting on a book of etchings in a fireplace from which gas was streaming from four jets in a gas log.” The 57-year old Ryan had been dead for hours. 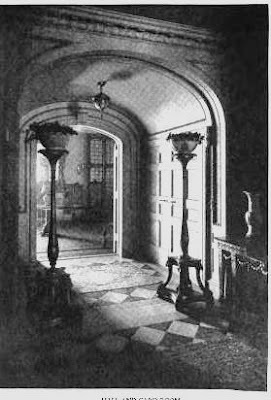 Merklin, with the help of John Korka, the butler, and Irving Daniel, the handyman, carried the body to Ryan’s bedroom, down a long hall from the library. Both the servants were overcome by the gas and the butler collapsed with a heart attack. 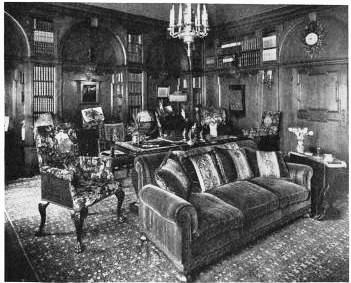 The mansion became home to Ryan’s son, Clendenin J. Ryan, Jr. When the United States entered World War II he joined the Navy, becoming a lieutenant commander and serving with distinction at Guadalcanal and in the Solomon Islands. During his deployment he contracted malaria, dengue fever and other diseases from which he never fully recovered. A political reformer, Clendenin Ryan, Jr. maintained a large estate, Panther Ledge Farm, near Netcong, New Jersey. He had been a confidential aide to Mayor Fiorello H. La Guardia and the first Commissioner of the city’s Department of Commerce. During that time he was noted for his energy and buoyancy. But the mental affliction suffered by his father was now becoming evident in him. On Thursday, September 12, 1957 the 52-year old committed suicide in the mansion on 70th Street by shooting himself in the head. His funeral was held in the Church of St. Jean Baptiste, built with his grandfather’s money, two days later. He left a personal fortune of over $14 million. Clendenin’s family remained in the house, still here in May 1960 when daughter Caryn married Roger Wolcott Tuckerman in what was a socially-important event in the same church. In the latter years of the 20th century a doctor’s office was installed in the ground floor of the mansion. But in 2003 the house was restored to a single-family residence, returning the house that has seen more than its share of tragedy to its 1912 appearance. was an elderly widow whose husband had died just prior to my parents moving in.